Protein biosynthesis is available as a set of molecular targets for antibacterial agent development. 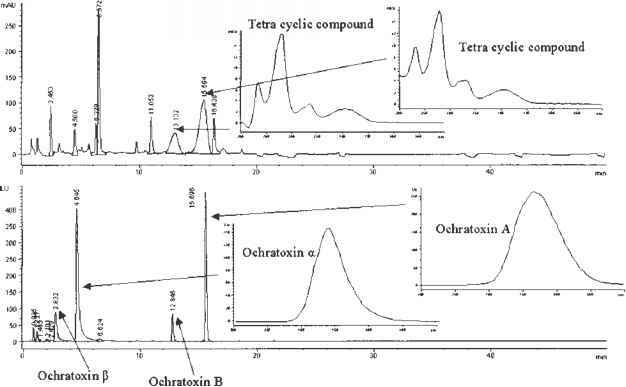 The antibiotics such as chloramphenicol and streptomycin have been demonstrated to inactivate or alter the accuracy of the bacterial ribosome (Cundliffe 1990). However, the use of fungal protein biosynthesis as an antifungal target has been more challenging, because of the high degree of structural and functional identity of the components of the protein biosynthetic machinery between fungi and higher eukaryotes. As in the cases of cycloheximide, trichodermin, and hygromycin B, their activities on the fungal ribosome appear to be identical to those on the mammalian ribosome (Tuite et al. 1995). It was, therefore, of considerable interest to find out a specific antifungal agent targeting on fungal protein biosynthesis. Sordarins were found to have highly specific inhibitory activity against the elongation factor 2 involved in the translation of several fungal species (Justice et al. 1998). Sordarins were originally isolated from the terrestrial ascomycete Sordaria araneosa (Hauser and Sigg 1971). The fungal specific activity of sordarins is quite interesting, because the elongation factor 2 is a highly conserved protein. Recently, a mutant strain analysis revealed that sordarins had additional interactions with the ribosome itself (Justice et al. 1999), indicating that the selectivity of these compounds was governed by multiple points of interaction between the compound and the ribosome. Using a high throughput screening (HTS) targeting on protein synthesis in Candida spp., an analog of sordarin has recently been demonstrated to be an effective in vitro inhibitor with apparent selectivity for fungal protein synthesis (Kinsman et al. 1998).